Cut off the collar just above the collar stand... cut off the cuffs just above the cuff. Done - roll the sleeves & tie the ends. Cool & comfy. I love that you included a shot of your cats! lol! 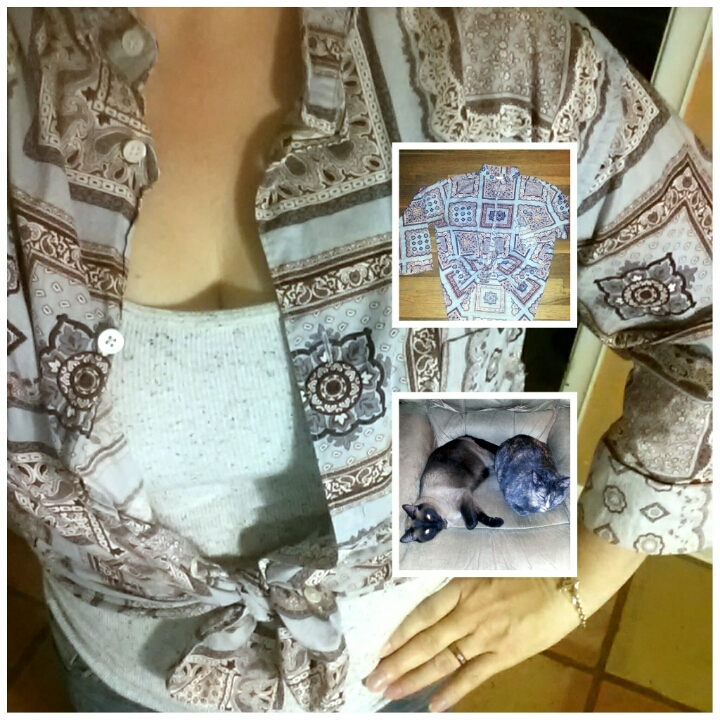 Love these easy fixes, and tied over a tank or cami makes this button up much more modern!